Q:I am wondering about the verification letter from a doctor (prescribing a companion animal). Does that person who is treating our tenant have to be local, or do we have to accept a letter from someone who is not in our state, and, in my opinion, not really treating our tenant? The rules concerning the prescription of a companion animal are not that specific. They merely require that the person be a health provider. There appear to be no specific licensing requirements, no indication that the tenant’s treatment must be ongoing, or nothing that provides that the tenant must seek medical help solely in their home state. On the other hand, these rules do limit a landlord’s ability to fully investigate whether the person qualifies for a companion animal. A balance must be struck between confirming the disability and the need for the animal, and making the tenant feel uncomfortable making the request. If a landlord goes too far, the tenant can claim harassment or intimidation, which is another form of discrimination under these laws. The HUD guidelines are intentionally broad and designed to encompass every possible situation where a tenant may need a companion animal. They are intended to be construed in favor of the tenant keeping the companion animal. It is possible that if you speak with your local HUD office or an attorney in your area that there may be an exception in this particular case. But if it’s not obvious that you have a right to reject the tenant or deny the request for a companion animal, you are taking a risk. Given the potential consequences, the best practice may be to assume that the request is legitimate and accommodate the tenant rather than risking a claim of discrimination by putting effort into trying to avoid renting to a tenant with a companion animal. Q: My husband and I are getting ready to move into a new apartment. We have two small dogs. The apartment has a two-dog minimum. There is a possibility that my mother-in-law may have to move in with us. She has a companion animal (a small dog) due to depression from the loss of her husband. Can the landlord kick us out or make us get rid of one of our family dogs? We pay a pet rent for both of them. This question is similar to another common issue, whether landlords can restrict access to guests who bring companion animals to a no-pets property. Recently, HUD has made its position clear that it favors allowing guests, both long term and visitors, with companion animals access the property, similar to the practice with service animal. In this particular case, the landlord will have the opportunity to approve the mother-in-law as an additional occupant. (It is not a given that she can move in, as the tenant suggests.) But, when evaluating that application, the landlord cannot reject this new occupant solely because she has a companion animal, regardless of the management policy regarding pets. However, if the two-dog limit is based on local law, then the landlord may have cause to claim a hardship, and reject the applicant because the third animal violates the law. The tenants would then have to figure out what to do. If the landlord accepts the new resident, he or she would not be able to charge pet rent or an additional deposit for the companion dog. 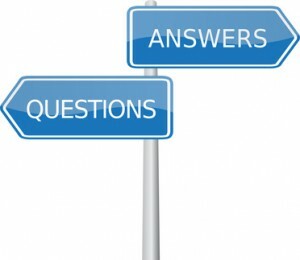 Q: My son has medical issues and we have a companion animal. She is a quarter pit bull. The landlord doesn’t allow pit bulls saying that the insurance wont cover it. Breed specific restrictions are not supported by the companion animal rules. However, if the specific breed is restricted by local law, or, as suggested here, the landlord’s insurance will go up or be denied, the landlord may be allowed a hardship exception. The tenant can be rejected, evicted, or forced to choose a different companion animal. The caveat: In a recent case where this issue was litigated by HUD, the landlord failed to prove that the insurance policy restricted the breed. Q: How do I go about getting my pet certified as a companion animal so I can get an apartment in a no-pets building. This is precisely what many landlords fear — that the request for a companion is a scam to keep a pet in a no-pets building. The fact that virtually any health provider can “prescribe” the animal as therapy feeds this pessimism about the companion animal rules. Not every health care provider will play along and stake their reputation on fraudulent requests. If the animal violates health codes or other laws, causes damage or threatens the safety of others, the landlord may have the option of evicting the tenant. While landlords cannot charge a separate pet deposit or increase the security deposit, any damage can be deducted from the security deposit, and the tenant remains legally liable for damages beyond the deposit amount. All rental applicants are still subject to a tenant background check. You may be able to catch a scammer by inquiring into their rental history, including a previous eviction report. Remember, these rules are applied on a case-by-case basis. For specific questions, you should consult with an attorney, or ask for assistance from your local Fair Housing office. I have a tenant in my apartment building where there are many companion pets. Most all of my tenants follow all the rules, such as cleaning up their mess and having them on a leash. One tenant will not comply and will let her animal urinate on other tenants flowers, and strawberries as well as letting it run around unattended and leave piles of feces in many other tenant yards. What can I do?